Wide wheels vs. standard wheels – what is the difference? Pros and cons of each? Greetings Micro friends! The purpose of this post is to shed some light on the difference between our scooters’ wide vs standard-width wheels. To begin, let’s first take a look at a few models that use each type of wheel. We’ll start with a handful of “standard-width” wheel products. Next, we’ll take a look at some products using our wide, “Monster” wheels. So, what is the difference? Why would one want a wider wheel or a skinnier wheel? A wider wheel is going to offer more traction and “grip” on the riding surface; this means that it is a bit easier to maintain control on a scooter with wide wheels (think of semi-trucks that have dual rows of wheels on the trailer). This added grip/control is especially beneficial when going downhill (ie fastest of speeds on kick scooter). This in mind, the added traction/grip comes at a sacrifice of rolling distance and rider speed; this means that you will have to pedal more often on a scooter with wider wheels when compared to something that has standard-width wheels. 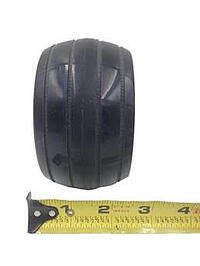 Monster wheels are 2.5 inches wide and 4.5 inches deep—that’s a lot of polyurethane on the ground! Scooters with our standard-width wheels will be faster and have greater gliding distance “per kick” when compared to our products that have wider wheels. On the same token, you will not have as much traction or grip with standard-width wheels (when compared to our Monster wheels). We will say that a vast majority of riders have no issues using either type of wheel—if you are able to ride a bicycle, you are more than capable of riding a scooter with wide or narrow wheels. As you can see, these wheels are narrower than Monster wheels and, in turn, will require less pedaling (+ more body balance) than a Monster wheel. What should I get for keeping up with my speedy kiddos? When keeping up with kiddos using the Micro Mini, Micro Maxi, Micro Sprite, etc., we do *not* suggest opting for a product with wide (Monster) wheels. Instead, we’d suggest sticking with another product that also uses standard-width wheels. We say this as many parents using Monster wheels have reported difficulties “keeping up” with their fast-moving kiddos. It is certainly possible to keep up with the kids when using Monsterwheels; however, you will wind up pedaling quite a bit more than the youngsters to maintain the same speed! 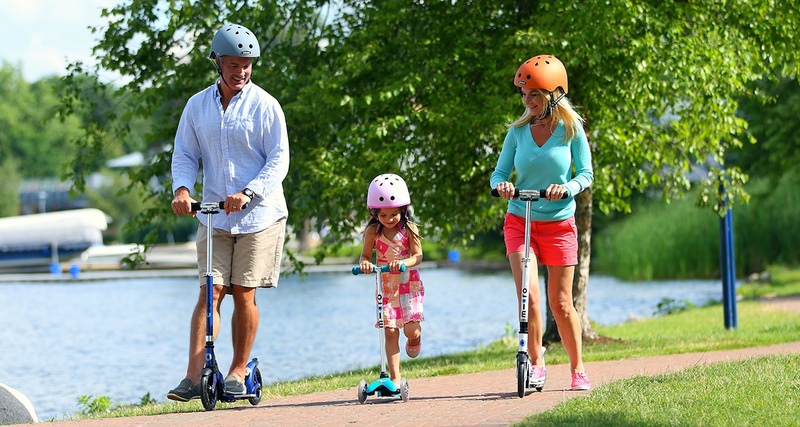 We suggest parents also opt for a normal-width wheel when scooting alongside their speedy kiddos. Don’t forget a helmet! So, long story short, a wide wheel will be slower but has added grip/control; a standard-width wheel will be faster but will also require a bit more body balance from the rider. 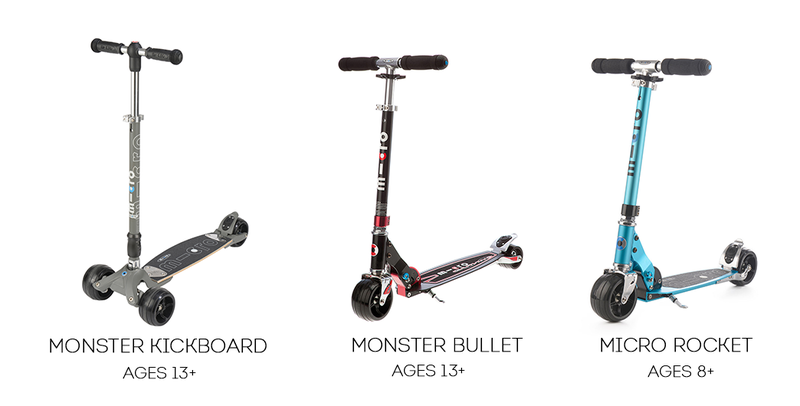 And, finally, for any adults looking to scoot alongside their speedy kiddos, we strongly advise purchasing a product that also has standard-width wheels.